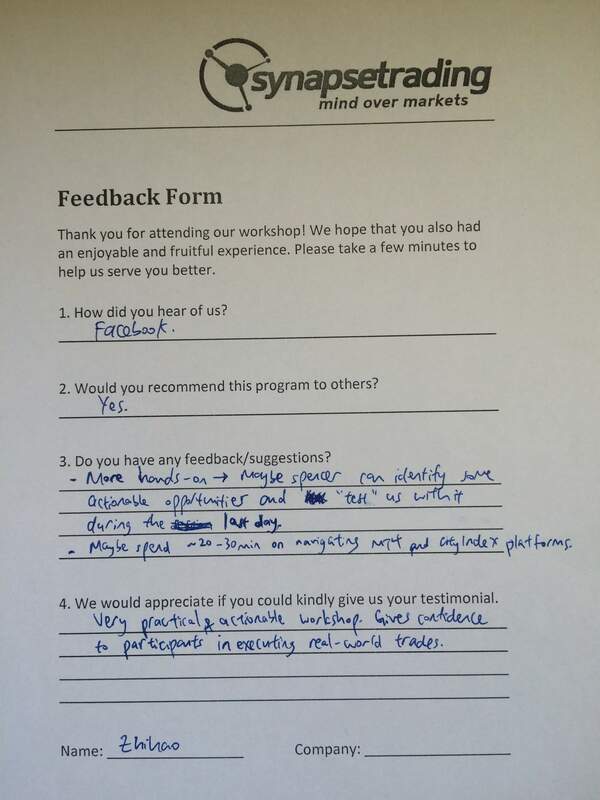 Thank you Zhiha0 for your kind testimonial, and we wish you all the best in your trading! http://synapsetrading.com/wp-content/uploads/2014/03/logo-header1.png 0 0 Spencer Li http://synapsetrading.com/wp-content/uploads/2014/03/logo-header1.png Spencer Li2015-12-23 08:00:292016-02-07 19:32:43Testimonial: "Gives Confidence to Participants in Executing Real-world Trades"
Spencer Turns 30 and Synapse Trading Turns 3! Another Full-house Session for the "Trading Foundation Workshop"! New Seminar Sold Out - Thank You for the Overwhelming Support!